The holidays always make me wish I had a fireplace. A mantle is the perfect place for a festive vignette. Whether it's Halloween, Thanksgiving, or Christmas; you can pair a festive garland with pretty lights, and glowing candles. 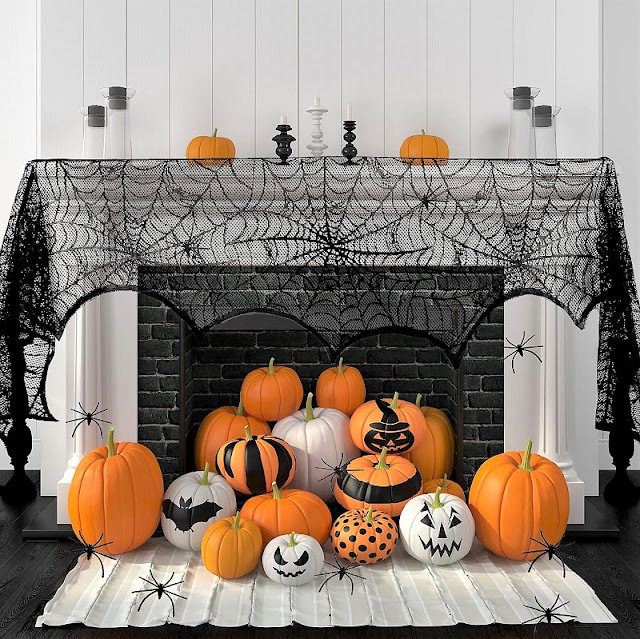 For Halloween, of course, you can mix in all sorts of pumpkins and holiday decor, like the black spiderweb fireplace cloth pictured above. It's the perfect backdrop for a spooky display! And priced at anywhere from $5 to $10, it's a very affordable way to make a big impact. 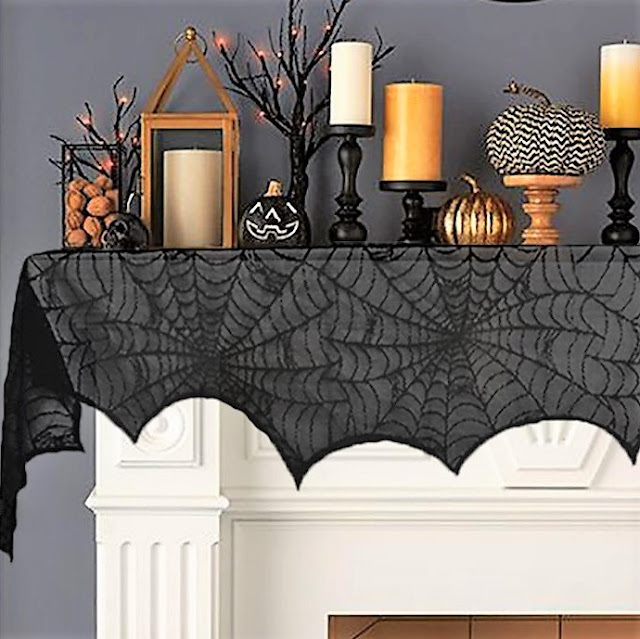 Here are three fun ways to decorate your Halloween mantle using this spiderweb cloth. Make it modern. 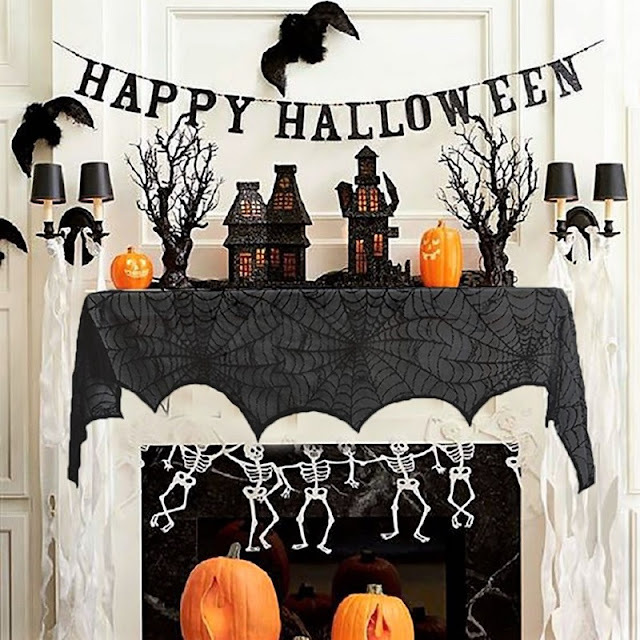 If you have a white mantle, you can create modern black and white theme by pairing this spooky mantle cloth with glittery black Halloween accessories, like these modern Halloween mini tress, glitter pumpkins, and some bright orange pumpkins. Finish off the look with a fun Halloween banner. Go for elegance. Halloween decor doesn't have to by casual. 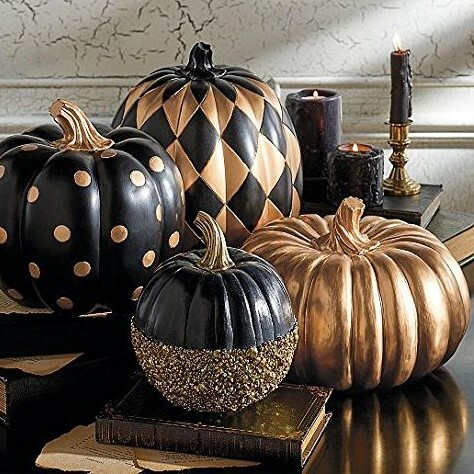 Give it an elegant upgrade with some decorative lanterns, pillar candles, and pretty pumpkins. Add in some metallics, like these beautiful gold pumpkin votive holders. Keep it simple. This one is perfect if you have a faux fireplace or like to keep decor like candles, rather than an actual fire, inside your fireplace. 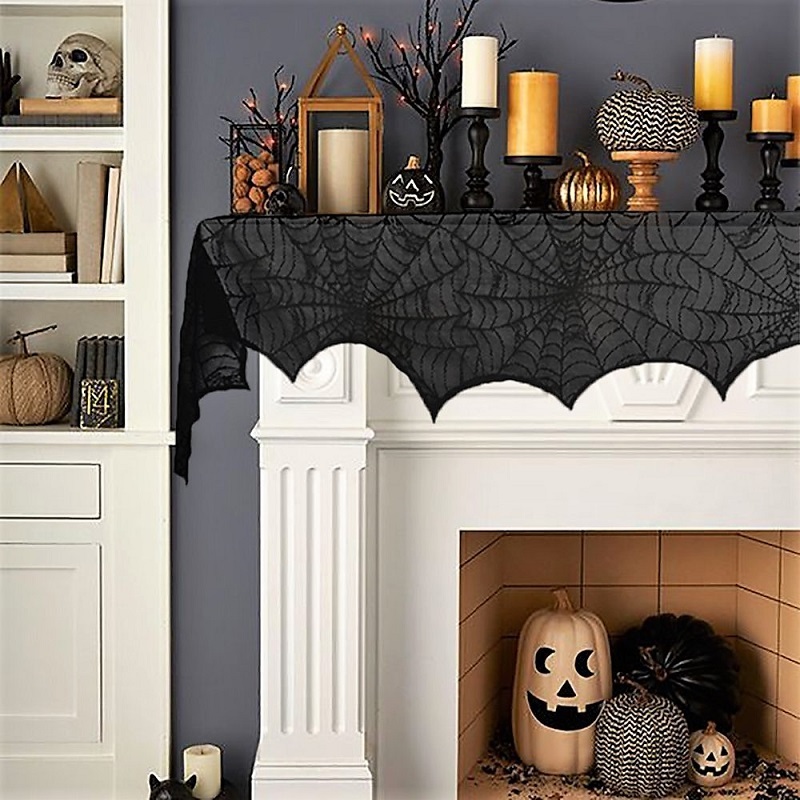 The spiderweb mantle cloth looks great on its own or with just a few accessories, so it's the perfect way to showcase a bounty of pumpkin in all different colors, shapes, and sizes! This one is definitely my favorite. Which look is your favorite? Let me know in the comments below! Such beautiful! Love them all! OOOOOOH, such fun mantles! I love all the festive pumpkins! I do love the candles in that one! I love the modern Halloween mantle! Thanks for sharing these decor ideas. All the decor looks so spooky! I love it. Great decor ideas! My favourite is the second one - I love the gold and the elegant theme! It makes me wish I had a fireplace too!